This past Sunday, the field of 68 teams were revealed for this years NCAA tournament. Duke, North Carolina, Virginia and Gonzaga are the four number one seeds this year. As we learned last year, nobody is safe from an upset. Who are the Cinderella teams this year? Nobody will know until the games begin but for now all we can do is predict. Liberty comes into the tournament as a 12 seed in the East region with a first round matchup against the vulnerable Mississippi State. The Flames are the tournament winners from the Atlantic Sun Conference. Led by junior guard Scottie James who leads the team in points and assists with 13.1 and 8.8 will be the X Factor. The Flames play at a slow pace and wear down the opposing defense by swinging the ball until they find an open shot. “I watched a couple of Liberty games this season and they seem legit, given that they play in a low tier conference, nobody knows how they’ll pan out in the tournament,” said junior Kyle Sullivan. Mississippi State is on upset watch because they don’t have any key wins except for against the eventual SEC tournament champion, Auburn Tigers. The Bulldogs are 1-5 vs ranked opponents and have not proved to be a top dog in the country. The ‘Dogs rely on the scoring of senior guard, Quinndary Weatherspoon as he averaged the second most points in the SEC with 18.8 points a game. In all losses, Weatherspoon has scored 15 points or less. Murray State led by player of the year nominee and future top five pick, Ja Morant come into the tournament averaging a double double with 24.5 points per game and 10.0 assists per game. “If Ja [Morant] can hit his shots on Thursday, Murray State has a very good chances at beating Marquette, who I don’t think deserved to be a five seed,” said sophomore Daniel Fishman. The Racers are the champions of the Ohio Valley Conference tournament. They beat a good Belmont team in an emotional win in the title game. With that win Murray State punched their ticket to the dance and got placed into the 12 seed with an opening round matchup against Marquette who has been on an up and down season. The Golden Eagles come into the tournament with a 1-5 record in their last six games after their impressive 23-4 start. 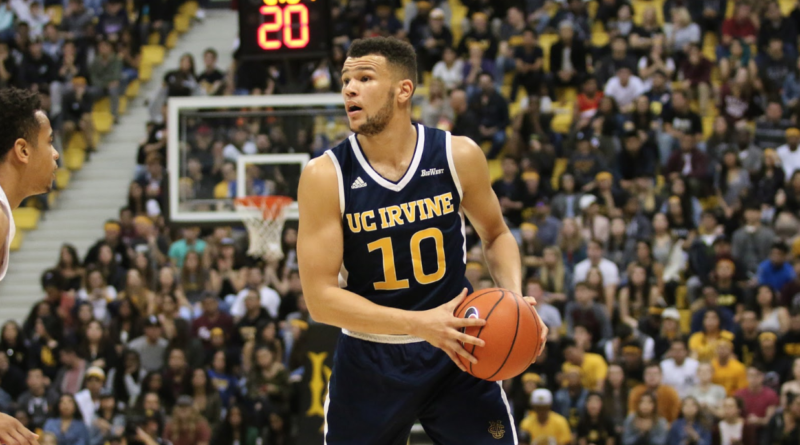 The University of California-Irvine come into March Madness as a 13 seed with a tough first round matchup against Kansas State who seems to be due for an upset. The Anteaters are led by junior guard, Max Hazzard who averages a respectable 12.8 points per game. The team shoots 36% from behind the arc but will beat you on defense as the average field goal percentage by their opponents is 5th in the NCAA with 38.0%. Kansas State will play without their best player, Dean Wade whos season is over due to a foot injury. “The loss of Wade immediately puts the Wildcats on upset alert. I picked UC-Irvine to beat them so i’ll definitely be watching that game closely as many people will,” said junior Aaron Karten.